On the way to the airport, a mother frets over her daughter who is leaving home for the first time. Suddenly, she finds herself on a curious detour that plumbs muddy memories, only to surface with a dazzling lesson in both life and swimming. 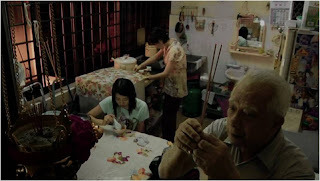 For most Singaporeans, we have the luxury of growing up living under the protection of our parents. However, we often hear complaints from our young generation about over-protective parents. Are their parents really so unreasonable or do they just love their children too much? Maybe the best thing to do is to just let go. A veteran of television production, Kat Goh is one of the few female filmmakers to emerge from Singapore. Cutting her teeth on epic TV productions during an eight-year stint at both MCS and Channel U, Kat’s work on the small screen includes the highly-rated comedy series Durian King (2004), which won three PROMAX awards including Best Actress. L (leew): Can you tell us a bit about your short film "Swimming Lesson"? 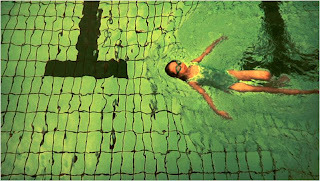 K (Kat): Swimming Lesson is about the relationship between a control freak mother and her daughter. The story happens in the last four hours before the daughter gets on the plane to America for her studies. 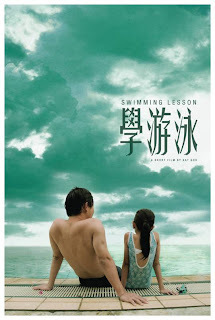 At the end of the short film, the protagonist's father (Grandfather) teaches the mother to let go by reminding her of a particular swimming session in which he lets go of his hold on her and she learns to swim. We always hear kids complaining about their parents being unreasonable and too controlling.. (like me) But they never consider the fact that that might be the only way the parent knows how to show love. L: Sounds good. Is it autobiographical? K: Yeah it's a bit like my life. Many friends ask if I’m talking about myself. L: We know from your bio that you've been working in the industry for many years. 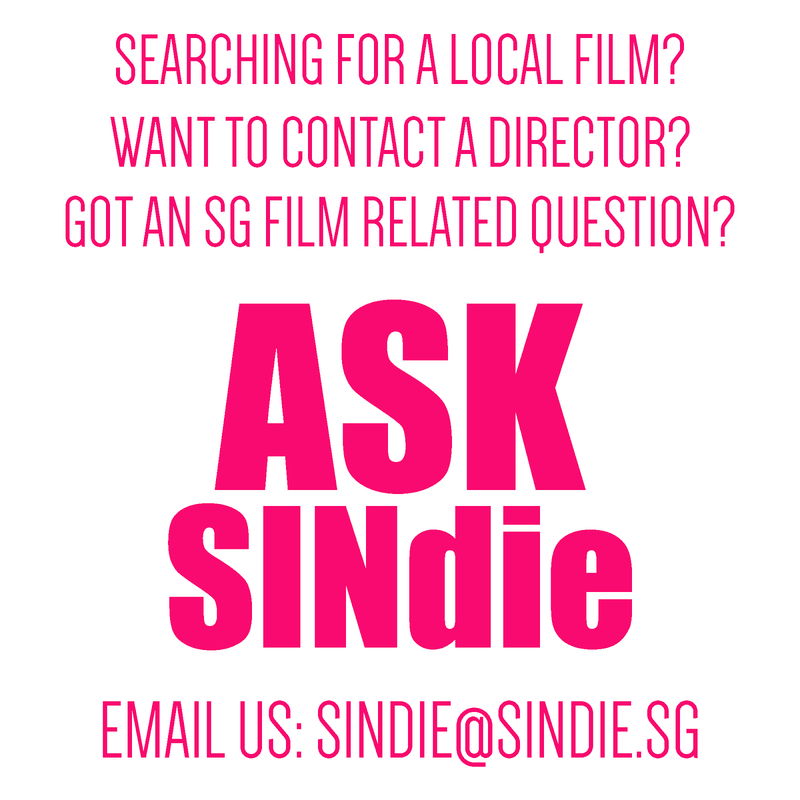 Is this your first short film? K: Yes it's my first short film. I have been wanting to shoot one but I never had the time. K: No nothing of that sort. I'm not such a person.. Ha ha. I like the more realistic portrayal of life. L: How is your short film different from your work? K: It's different in the sense that I must bring across the idea fast in 15mins unlike in features where I can spend time building up a character. K: Well.. an advice from Kelvin (Tong, scriptwriter) - if you can't say what you want to say in the first 5 mins.. what you want to say is probably not important. L: Yes, useful advice for everyone! L: So how was the production process, did you work with the usual people in your work team? K: Yes my team are all friends.. Irin (Stylist) and Daniel (Art Director).. I've worked with both of them for almost all the projects since I joined Boku (Boku Films). And Ah Yin my DOP and his team, who always helps us out with our projects. K: You mean horror?? No... But we have a really tough time trying to get the expressway shots. We had to shoot at 3am when there's not much cars and try not to obstruct the traffic by getting our own cars to help warn others to be careful of us. L: Yes I love production B-roll snippets like that. More please! K: The poor girl in the swimming pool flashback scene was in the water for hours and she is starting to turn blue. L: And you were shooting on film too, right? How was it? K: Oh it was not film. It was the Panasonic P2 camera. And I am grateful to Panasonic for sponsoring it. K: Hopefully the next short film will be on super 16. L: Since you've worked on so many TV and film projects, did you find it easy to find the right professional or experienced actors in your film? K: Actually I was really trying to find unfamiliar faces. But when I just can't find the correct people, I fall back onto the experienced actors that I knew. I had to tone them down a lot cos they were so used to acting in TV dramas. L: Earlier you were saying that your friends asked if this short film was about you... Was that the reaction you got from people who have seen it? How about family members? L: Is this short film something you've prepared for many years? K: I only started thinking of this idea last year. 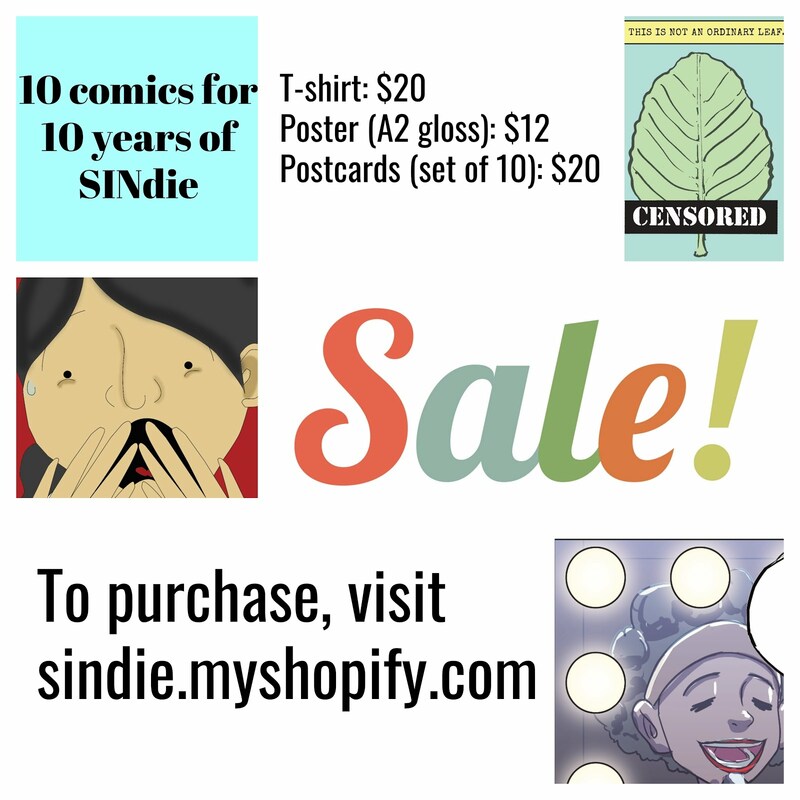 The original idea was about 13 year old girls and period and crushes... Haha but it'll need more money to make it hilarious and entertaining. So I decided to change a topic. L: Hmm, can you elaborate a bit on "it'll need more money to make it hilarious and entertaining"? Special effects or..? K: More like sequences, bigger scene with lots of extras and wardrobe. Not special effects. L: Back to your film and the process - Kelvin Tong wrote the script? How is it like working with him for your own short film, do you feel influenced? K: He is more like a mentor to me. He tries not to influence my decisions so that the film will be more a Kat Goh film and not a Kelvin Tong film. But he gives me a lot of suggestions in the editing stage to make it more pacy. L: So... no ghosts in this one? K: No it is not a thriller. It's not an arty, moody, angsty type of film. K: Ghost and twist is a Kelvin Tong trademark. L: What's the Kat Goh trademark... kaypoh people want to know. K: I don't know what my trademark is yet but I would think more sincere, more emotional and real. K: I like to make people cry..
K: hehe. Let me shoot one more scene for you. The plane to America crashes and the girl comes back as a ghost to haunt her parents..
L: Ok back to more serious stuff... Do you think all films are autobiographical or have some truth about the filmmaker's character, history, personality somehow? K: I think most films have some truth about the filmmaker's personality. No matter how different the film and the director is, how the characters handle the situations will be according to the director's experience and character. L: Back to the production process again - how do you get actors to tone down the TV acting? What are some tips you've got over the years to get more 'natural' acting? K: Sometimes I have to act out the tone for them. Sometimes I have to explain the situation and the character's emotional state to them in more detail so that they can immerse in the plot more. Mostly I talk about experiences and usually they'll have felt certain emotions some time in their life. L: I see. Any new things you gained from the experience of making this short film? K: Well.. it's not easy trying to handle the production aspect and the directing all by yourself. L: You mean directing, producing, location scouting, AD-ing, all by yourself? K: I do have a producer but cos my AD (assistant director) is quite new and we didn't have enough crew.. sometimes on set I have to handle the actors, the extras, the passer-bys myself. (pause) Oh yes, the whole crew was in one of the scene in the short film and the only people left not in the shot is me, a CA (camera assistant) and my AD. (pause) And it's a one shot scene. But anyways, all short film makers have to do everything themselves..
K: Ha ha.. But they look like the people who'll eat supper at night.. So it's okay. K: Yup.. It's fun too in a way.. And you learn much faster. L: Anything to add before I ask the last question? K: Oh yes, I shouldn't forget Men, my makeup person. He volunteered his service even when I have no money for him. So nice of him. Sob..
K: Yeah it's his surname. In a way, I just get my friends too... Except that they are from the film industry. Haha. K: Presently… The first movie is 'He's Just Not That into You'. I just watched it and the relationships portrayed are so well written. A movie about women. The second movie is the Japanese 'Love Letter'. The third movie is 'Amelie' I know everybody wished they made this movie. Fourth is 'The memories of murder' cos it's funny and intense and I like that. Lastly, 'The Host'...action and humor and drama..
Kat’s Swimming Lesson is currently in competition at the 22nd Singapore International Film Festival (14 – 25 April 2009).